Whilst visiting Muscat we visited the Sultan Qaboos Grand Mosque. This is the main mosque and largest in Oman, a quite magnificently vast building of stunning proportions which stands resplendent amongst the other buildings in the area. It's certainly the largest mosque I've seen and really did amaze me with its size. The grounds and gardens that it is housed within are equally large, are beautifully manicured and incredibly peaceful. The mosque is a fairly recent addition to the city, completed in 2001, following a competition instigated by Sultan Qaboos for its design to mark the 30th year of his reign. Inside the mosque is even more impressive and undeniably beautiful in its design and décor. Impressively large chandeliers and a huge Persian carpet greet you in the main prayer hall, the carpet is actually the second largest in the world and took 600 women four years to weave! In total the mosque can accommodate 20,000 worshippers, really quite incredible. Non-Muslims are welcome to visit the mosque from 8am until 11am Saturdays to Thursdays. Visitors must ensure they dress conservatively, ensuring that arms and legs are covered and women are required to cover their hair. If you need to both scarves and abayas, the traditional dress worn by women, can be hired for a small fee from the mosque gift shop. The ladies there are incredibly helpful and will ensure you are dressed appropriately in order to enter the mosque grounds and buildings. We took a taxi from our hotel as from where we were staying it was quite a journey and, as I mentioned previously, Muscat is a very spread out city. Our taxi driver offered to wait for us, which when we realised just how far it was, we agreed that would be easiest. Though there were actually plenty of taxis there offering to take visitors to wherever they wanted to go next. Our taxi driver was especially kind and before we entered gave us a brief explanation of where everything was so we didn't miss any of the key sites. Just another example of the wonderful Omani hospitality we received on our visit. 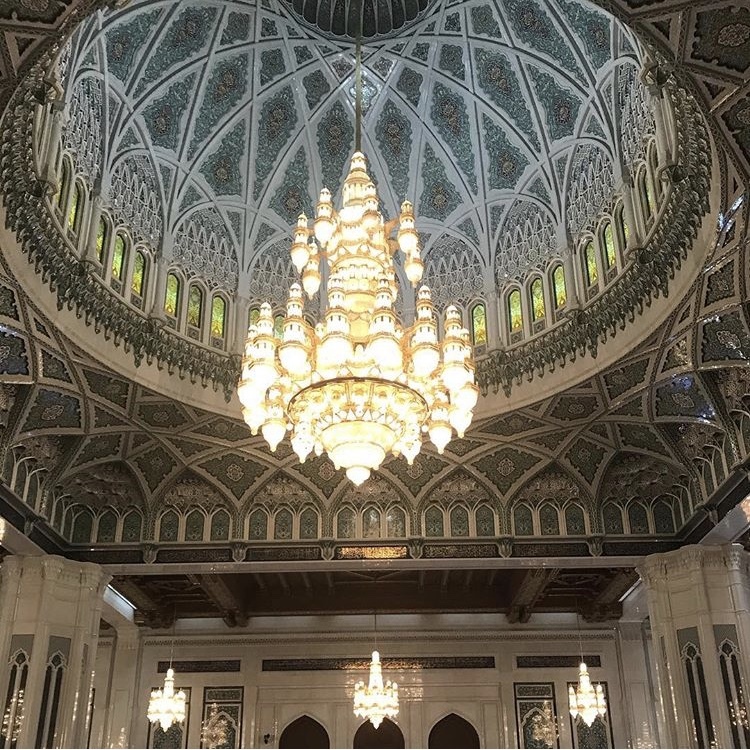 If you're in Muscat make sure you take the time to visit this beautiful building, it really is magnificent and is guaranteed to leave you quite in awe.